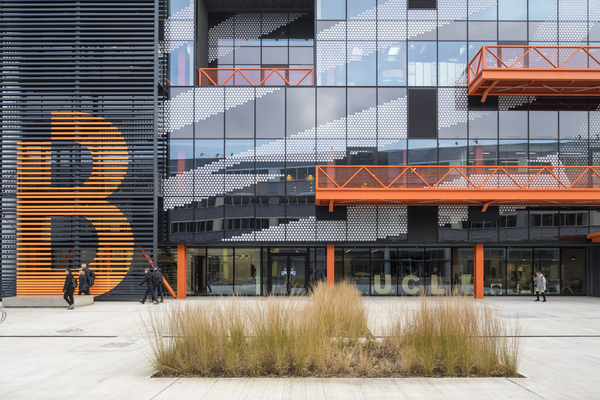 UCL's new site at Here East is the first presence on the Queen Elizabeth Olympic Park for UCL ahead of UCL East opening in 2021 and is home to 6 academic departments from The Bartlett and Engineering Faculties. 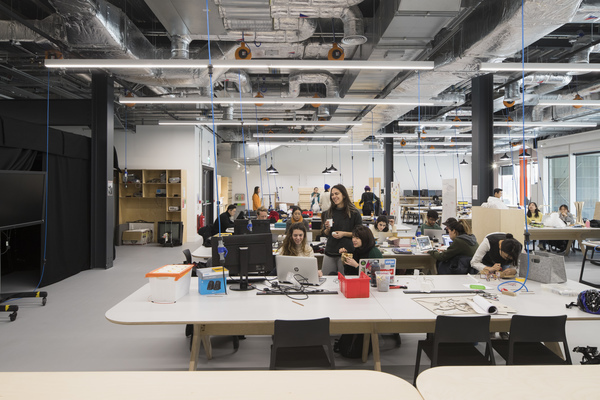 The 6,200 sqm UCL site at Here East facilitates a unique co-location of The Bartlett, UCL's Faculty of the Built Environment and UCL's Engineering Sciences Faculty for the first time in UCL's 200-year history. The complex brief brings together parts of: The Bartlett School of Architecture, Civil, Environmental and Geomatic Engineering, Computer Science, The Institute for Environmental Design and Engineering, The Institute for Sustainable Heritage and The Bartlett Real Estate Institute under one roof. A key part of the brief was the need for visibility across the entire facility to encourage collaboration and innovation between the various departments. 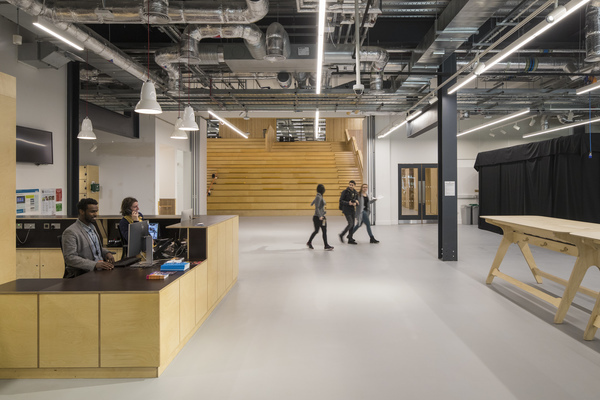 The thoughtful design promotes visual connections between all areas of the spaces, whilst paying particular attention to the quality and performance of acoustics, ventilation, lighting and thermal performance. 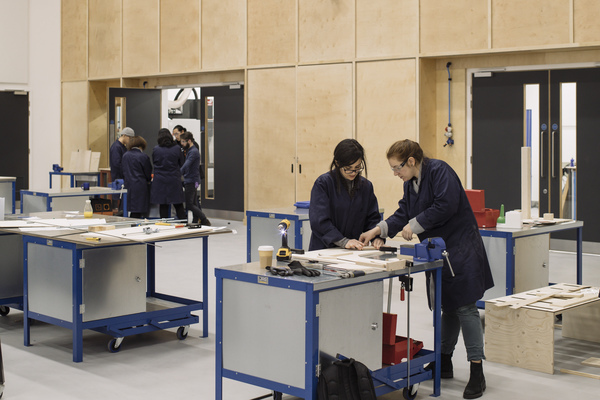 There are an interconnected suite of learning and teaching environments distributed throughout the space providing the infrastructure for innovative research, teaching and performance activities. 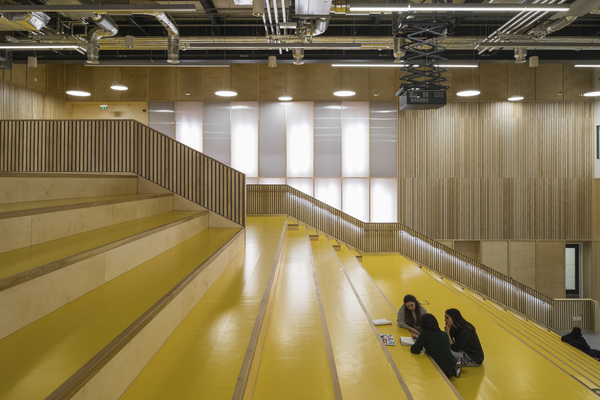 At the heart of the project is the auditorium, which acts as a centrepiece for social, collaborative and multi-disciplinary learning. 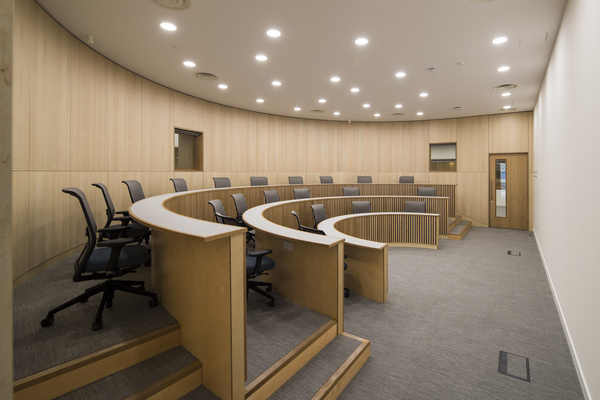 On the first floor, there are two intimate 40-seat Harvard style lecture theatres. 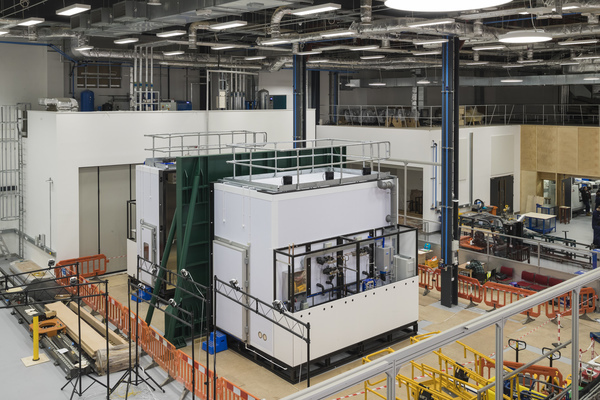 Towards the back of the site, we house a large manufacturing, fabrication and laboratory space, including a Robotics space, which enables UCL to utilise the large-volume space to undertake highly specialised and innovative manufacturing and testing.